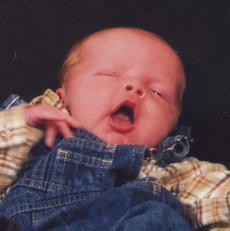 Births announced this week are: Clayton Lee and Connor Earl Price, Oct. 27, twin sons of Eileen and Heath Price. Concerns, ideas hashed for development of Handy Farm. The city and county governments jointly purchased the 120-acre Oddville Avenue farm at a cost of $660,000. A committee of community leaders and concerned citizens has been meeting to discuss the community’s recreational wants and needs and how the farm would be best developed. • Reelfoot Lake on the southwest border of Kentucky was formed in 1811 by an earthquake. Berry City Commission will meet Thursday, Nov. 14 at 7 p.m., at Berry City Hall. The meetings are open to the public. Bookmobile. The Cynthiana-Harrison County Public Library Bookmobile will be available Nov. 14 at Grandview Store from 10:30-11:30 a.m.; Shadylawn, 2:30 p.m.; Parkside, 3 p.m.
Cynthiana Board of Adjustment will not meet this month due to no items on the agenda. Dustin Wade Pergram was born to Carl and Pamela Pergram on Oct. 5, 2013. He weighed 9 lbs. 4 oz. and is welcomed by his sister, Athena and brother, Andrew. Maternal grandparents are Paul and Kathy Webber. Paternal grandparents are Jeff Pergram and the late Wanda Pergram. The Woman’s Club of Harrison County held its monthly meeting on Friday, Nov. 8. Anna Ruth McLoney welcomed members and presided over the meeting. She led everyone in the Pledge of Allegiance. Club member Cheryl Case introduced her guest for the luncheon, Brenda Burrier. Sonja Frazier offered the blessing of the food and Spiritual Values. She read an inspirational Thanksgiving story from Joy and Laughter by Mary Hollingsworth. Scriptural reading was from the book of Psalms 95:2. The American holly, Ilex opaca, is celebrated for its berries in shades of red, orange and yellow; it’s glossy green foliage and perfectly pyramidal shape. The deciduous holly (Ilex decidua) and the winterberry (Ilex verticillata) lose their leaves but reveal thick clusters of berries along their stems for dramatic winter effect through much of the winter. Births announced this week are: Makayla Dawn Quesenberry, Oct. 22, daughter of Melody and Dennis Quesenberry; Caleb Scott Collins, Oct. 1, son of Daniel and Kristin Collins; Madison Michelle Copes, Sept. 29, daughter of Colin and Erin Copes; Austin Thomas Moore, Oct. 29, son of Michael Thomas Moore and Carla Jo Moore; Cameron Clay Harrison, Sept. 7, son of Josh and Shannon Harrison; Austin Thomas Moore, Oct. 29, son of Michael Thomas Moore and Carla Jo Moore. U.S Department of Agriculture Farm Service Agency (FSA) Administrator Juan Garcia announces that the processing and disbursement of 2013 crop commodity loans has resumed. The commodity loan programs provide interim financing to producers for agricultural commodities stored after harvest and then sold throughout the year. Crop year 2013 commodity loan-making was suspended Oct. 1, 2013, to make changes necessary to accommodate the automatic funding reductions known as sequester. Sequestration is mandated by the Budget Control Act of 2011. USDA Farm Service Agency (FSA) Administrator Juan M. Garcia announces that the 2013 FSA County Committee Elections began Nov. 4 with the mailing of ballots to eligible voters. The deadline to return the ballots to local FSA offices is Dec. 2, 2013.